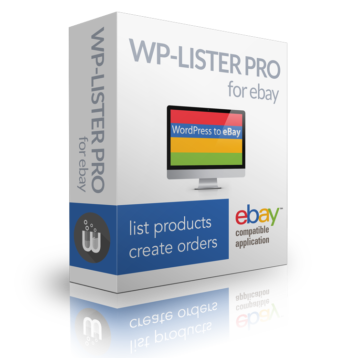 After you have purchased WP-Lister Pro you will receive an confirmation email which contains your license and a link to download the plugin. In order to update WP-Lister Pro to the latest version, it is required to activate your license. Visit WP-Lister » Settings » Updates and enter your license email address (the email address you used when you purchased the plugin) and your license key. Then click the “Update license” button and you’ll be good to go! Note: This will activate the license for the domain where you installed WP-Lister Pro. When you change your domain name (for example by adding or removing the www. prefix) or you migrate your site to a different domain, you need to deactivate your license on the old domain before you can reactivate it on the new domain again. By default, WP-Lister Pro will tell you when there is a new stable version available. However, you can choose to show new beta versions as well by changing the update channel to beta. This can be useful if you experience an issue that has already been fixed in the latest beta version – or if you want to test new features of WP-Lister before they are released. Please keep in mind that beta versions might have bugs or new features that are still considered experimental. Unless our support told you to update to the latest beta version, it is recommended to keep the update channel set to “stable”. New versions for WP-Lister Pro should show up in your WordPress dashboard just like any other plugin updates. However, if you know there is an update for WP-Lister Pro available but it doesn’t show up in WordPress, you can force an update check manually by clicking the button Force update check. 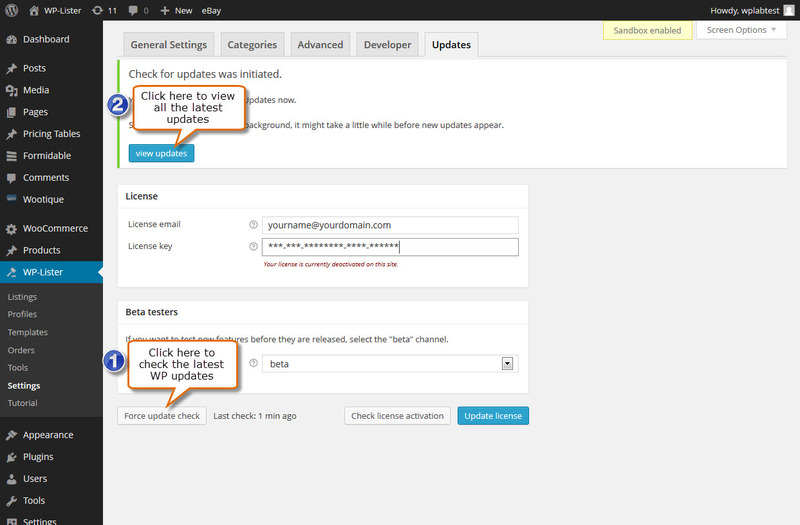 You will see a message that an update check was initiated – click on the “View Updates” button to be redirected to the WordPress updates page where you can see the updates for WP-Lister plugin and all the other WordPress updates available. If you still can’t find an update for WP-Lister Pro, please try refreshing or reloading the updates page once or twice.